The European 4-in-1 chain is a classic weave. 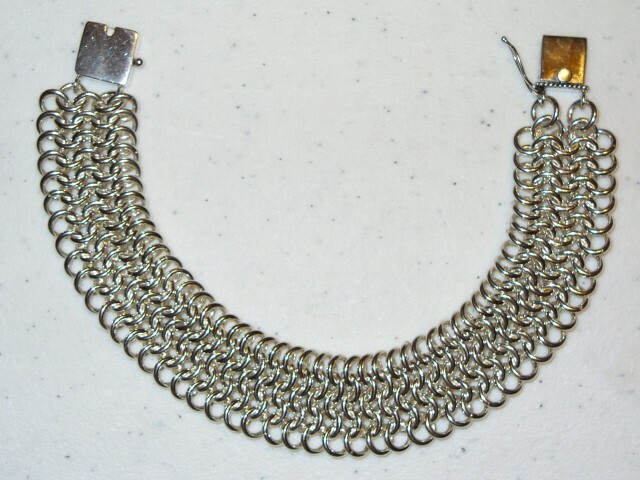 It was one of the weaves utilized in medieval times to make chain mail shirts and armor. It is a bolder bracelet that is very comfotable to wear. It is available in two sizes, with the pictured bracelet being the larger size. It is a beginner weave. A clasp is not included in the kit.